ArborMetrix, the Ann Arbor company using private, cloud-based analytics to help healthcare providers improve care, has experienced a lot of growth since Xconomy first profiled it in 2012. Back then, the company was in an office out on Plymouth Road with 21 employees; today, it has more than doubled its staff and it has a shiny, new open-plan office downtown, a stone’s throw from Google’s local headquarters. Last week, ArborMetrix announced its latest partnership: Its RegistryMetrix software will be used by the statewide Genetic Testing Resource and Quality Consortium (GTRQC) to improve genetic testing for breast, ovarian, and prostate cancer. Though genetic testing is growing dramatically, clinicians, and insurance companies still haven’t reached agreement on when they’re necessary, and for whom. The consortium will look at variations in genetic testing and develop guidelines, relying on ArborMetrix to collect and analyze the data. The GTRQC is a collaborative managed by the University of Michigan Medical School’s Department of Pathology, with funding from Blue Cross Blue Shield. It’s the first program in the nation to use registry-based analytics to help providers figure out which genetic tests might be right for their patients. At first, the GTRQC will benchmark molecular diagnostic testing for BRCA, a gene that indicates a high likelihood of developing breast cancer. After this initial testing phase, the GTRQC will add other diagnostic tests. Furst said ArborMetrix is the leading provider of clinical registries in Michigan. (A clinical registry is a cloud-based repository collecting data, which is then layered with analytics to find insights, Furst explained.) “We can start looking for trends tied to decision-making and appropriateness of care,” he added. This is one of many collaborations and pilot programs ArborMetrix has been involved in during the last two years. Last year, it announced a project with the Michigan Health and Hospital Association to analyze readmission data, and it has also done data analysis for the Michigan Breast Oncology Quality Initiative, the Michigan Trauma Quality Improvement Program, the American Association of Endocrine Surgeons, and others. Furst said that ArborMetrix is hiring, and it plans to have 60 employees by the end of 2015. The company closed on a Series B round last year valued at more than $7 million, with participation from RPM Ventures, Arboretum Ventures, U-M’s Wolverine Venture Fund, Renaissance Venture Capital Fund, Detroit Innovate, and undisclosed investors. “We are currently entertaining offers of strategic investment,” Furst said. 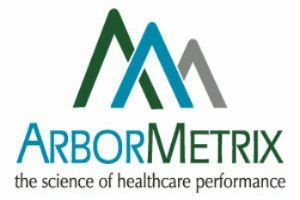 ArborMetrix is getting lots of attention from healthcare providers, Furst said, because of its ability to measure clinical value and performance. “That’s really important as hospitals respond to new payment models tied to performance and outcomes,” he added.